UNITED NATIONS, February 9 -- There is a $100 million fight about the UN heating up today in Congress, about which the UN refuses to answer questions. 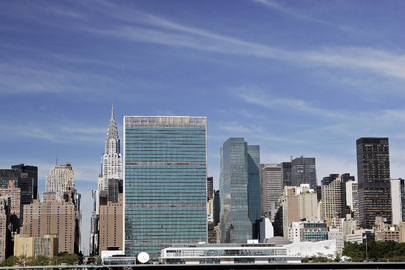 Of the $179 million in the UN's US Tax Equalization Fund, $100 million are said to be “re-purposed” for security at the UN in New York City. But when Inner City Press asked the UN, and the US Mission to the UN, how this $100 million has been or will be used, neither would provide any information. UN Secretary General Ban Ki-moon's spokesman Martin Nesirky said to “ask the [US] State Department,” even about the UN's use of the money. He said information might be provided later on February 8, but none was, including by the US Mission. This lack of transparency is inappropriate. 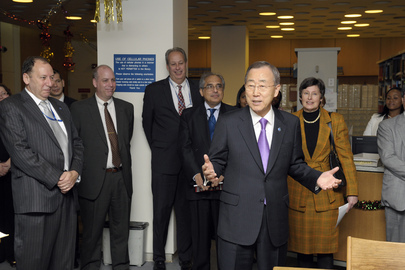 Inner City Press covers the UN every day and can list numerous human security lapses, as well as waste of funds. Proponents of the $100 million earmark, or slush fund, say that because part of the UN is over the FDR Drive, money is needed for security. But what do they propose? Bomb screening for all cars on the FDR Drive? One imagine a defense of opacity revolving around the need to keep security blueprints out of the hands of terrorists. But on February 8, neither the UN nor US Mission would answer how the green light was given to the UN to “re-purpose” the $100 million. This cannot be secret. Inner City Press: Sure. I have several questions, but I wanted to ask you about this tax equalization fund that’s being discussed in Congress. There is a quote by the [United States] Assistant Secretary of State, [Esther] Brimmer, saying that $100 million of this $179 million equalization of US staff members has been repurposed for security. So, I wanted to know, how did the US indicate to the UN that it could be repurposed in that way? How much of that money — she says almost $100 million —has been spent? How was it spent? And have other countries made similar multi-million dollar contributions? Spokesperson: Well, first of all, I would suggest that you ask the State Department. I have seen those quotes, but I think that it would be better if you asked the State Department about that aspect of it. We did provide you with some figures a little earlier, and as I say, I think that in the first instance you ought to check with the State Department. 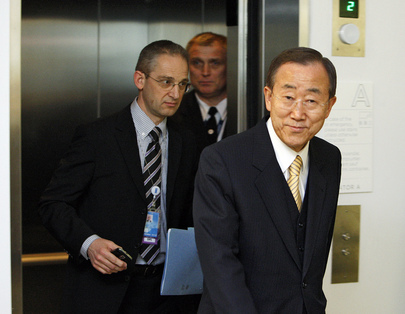 Inner City Press: But is it true… for how they communicated to the UN, maybe it is up to them to say. But how the UN used the $100 million seems like a fair question. [Good] Question: Again on the tax equalization fund, there are also news reports that say that the UN asked the US whether it could keep the surplus money to use for security reasons. So which happened first? The UN requested, or did the US offer? Spokesperson Nesirky: Well, as I said, please check with the State Department. I have also seen those reports, and I would expect to have something a little bit later on that.